Do you know why Blockbuster hit movies have sequels? Because the original was so well loved that people wanted more. The same thing is true with SizeGenix. Now the World's #1 male enlargement pill just got better ... way, way better! 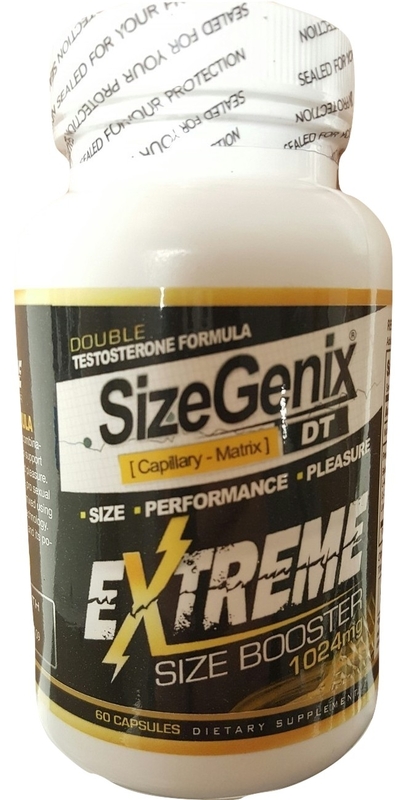 I am proud to introduce SizeGenix EXTREME! This is like the original SizeGenix on steroids!! It is incredibly strong. You are going to love it! We have added 250mg of Belizean Man Vine extract to the original formula. But this isn't just any kind of Belizean Man Vine and it's not just any kind of extract. No, this is very special indeed. The extraction process is so special, it was granted a United States patent. U.S. Patent # 6,673,377.